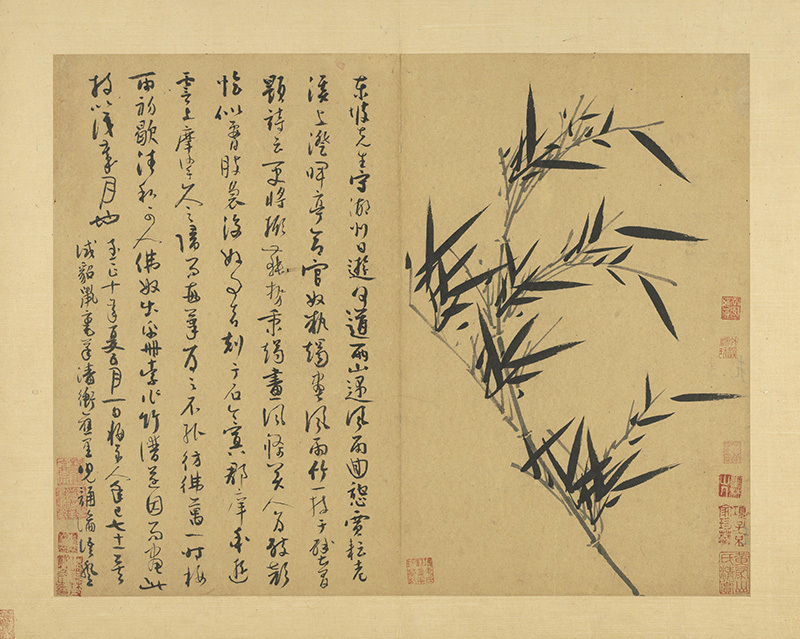 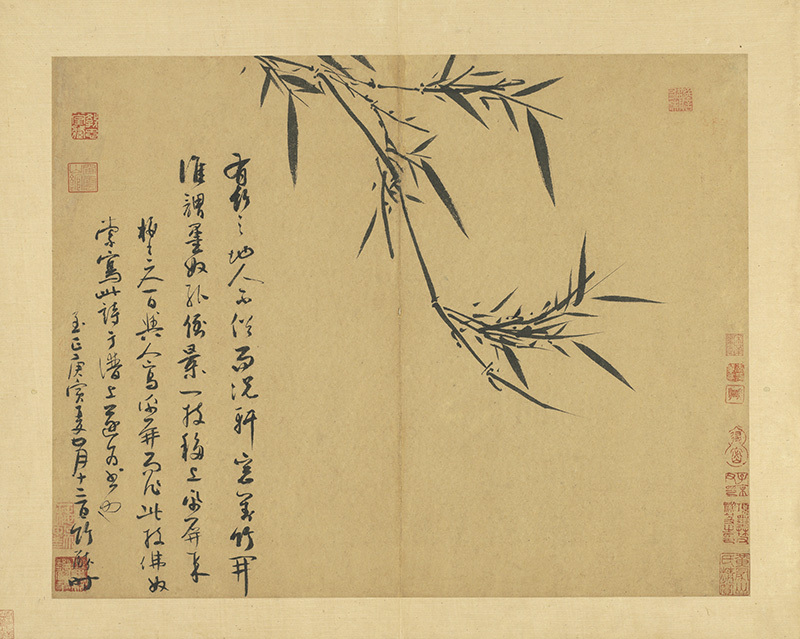 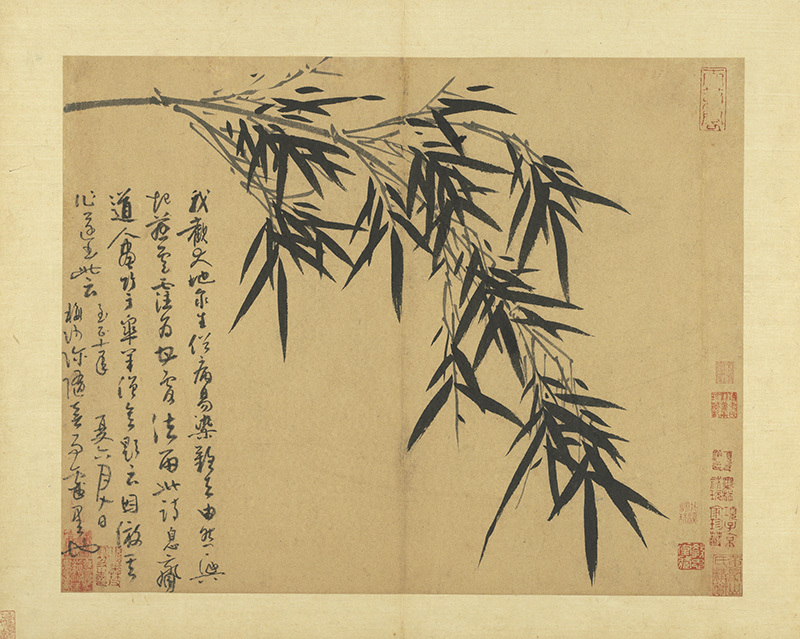 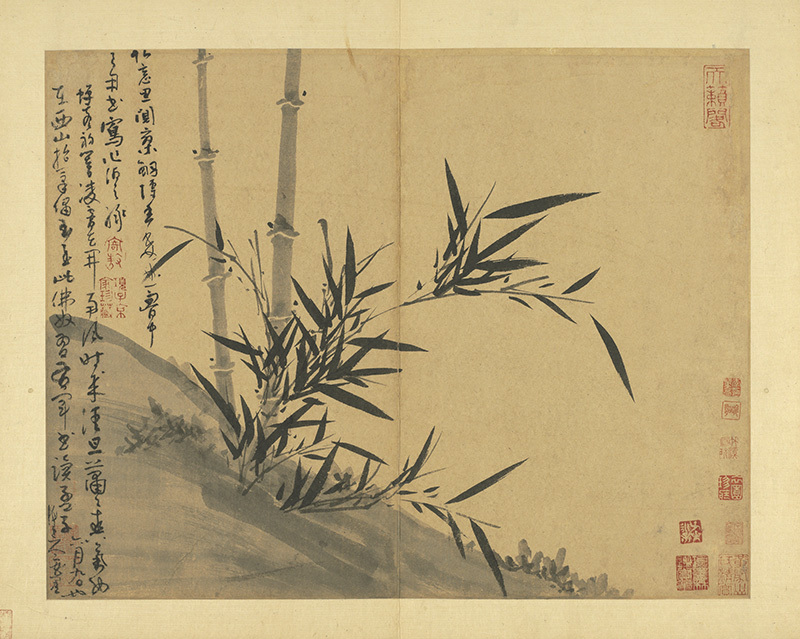 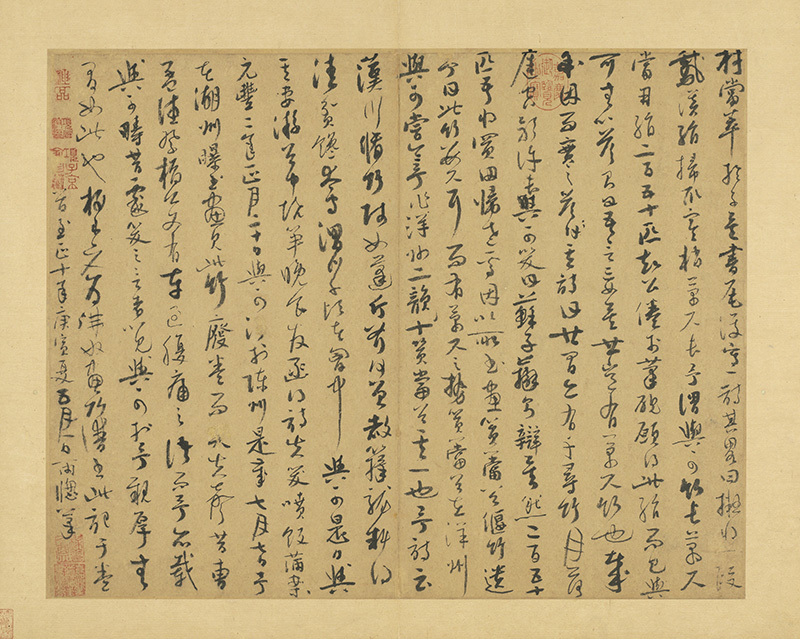 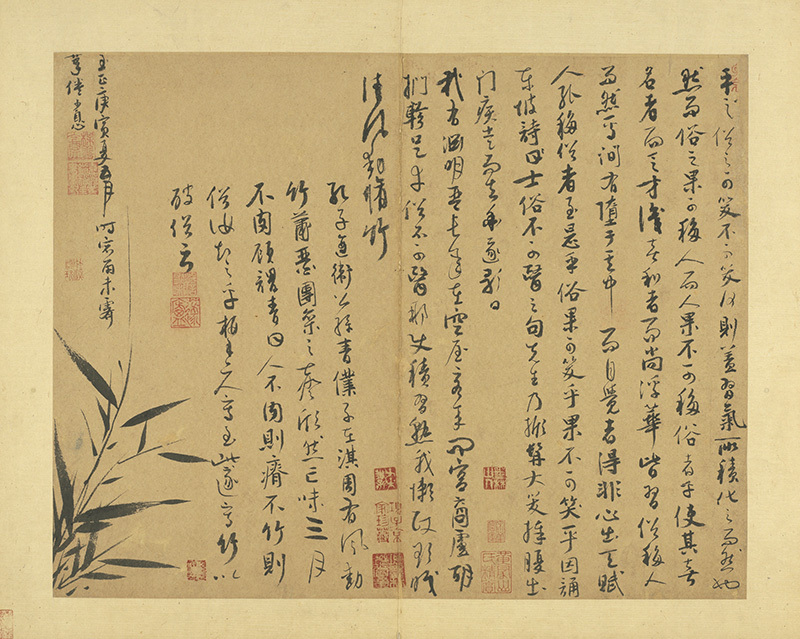 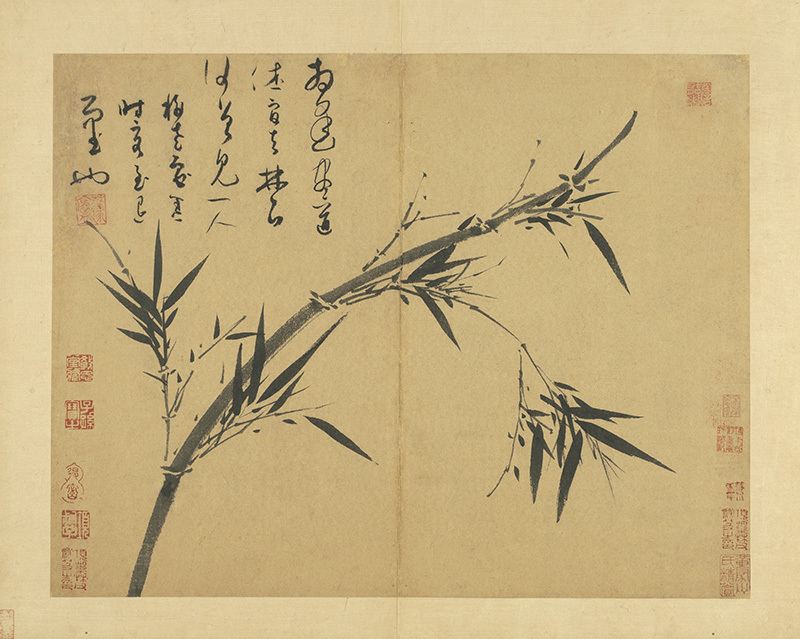 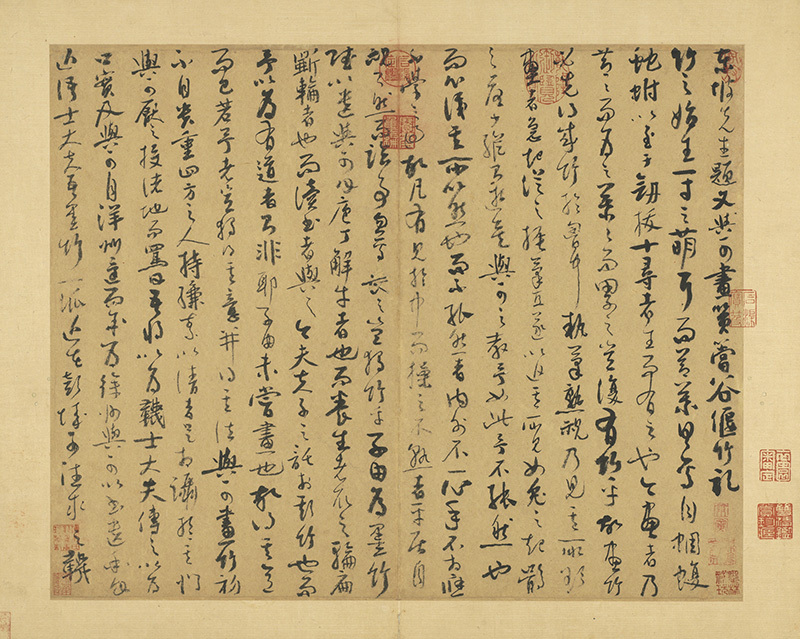 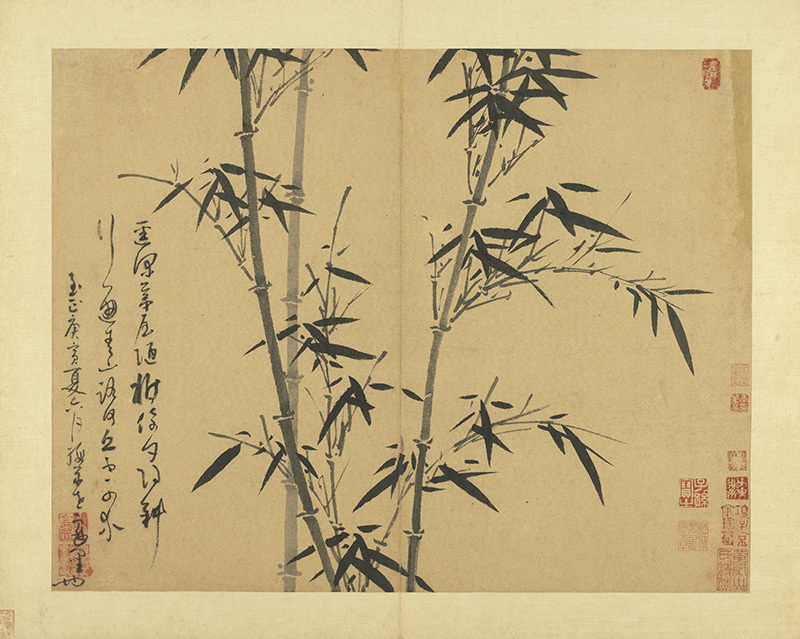 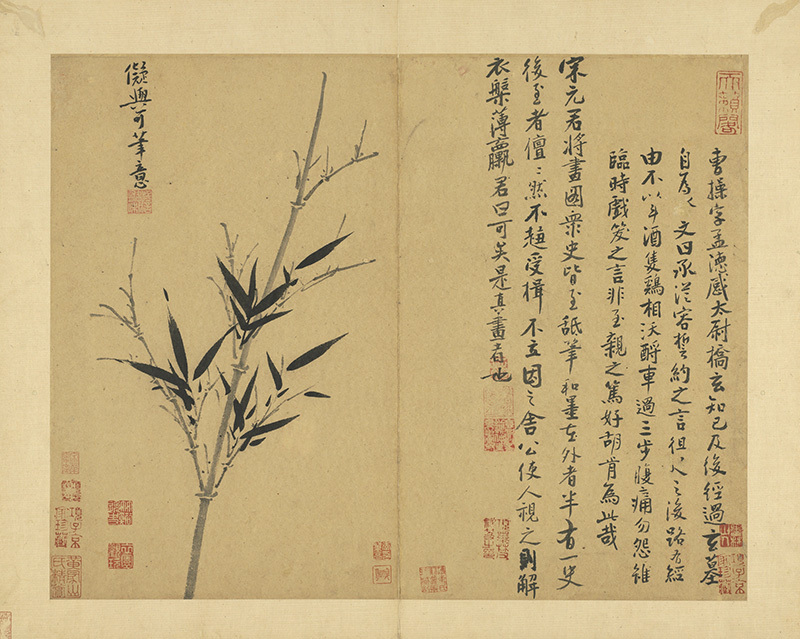 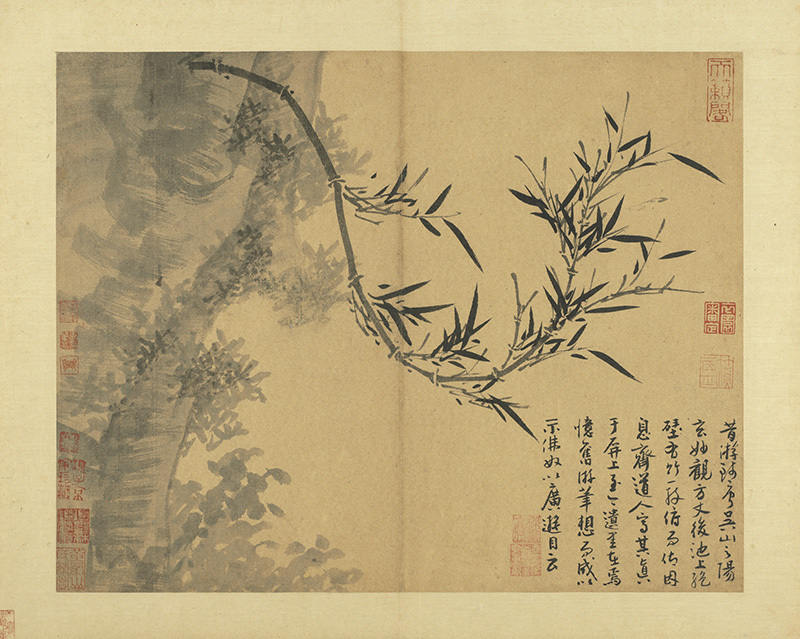 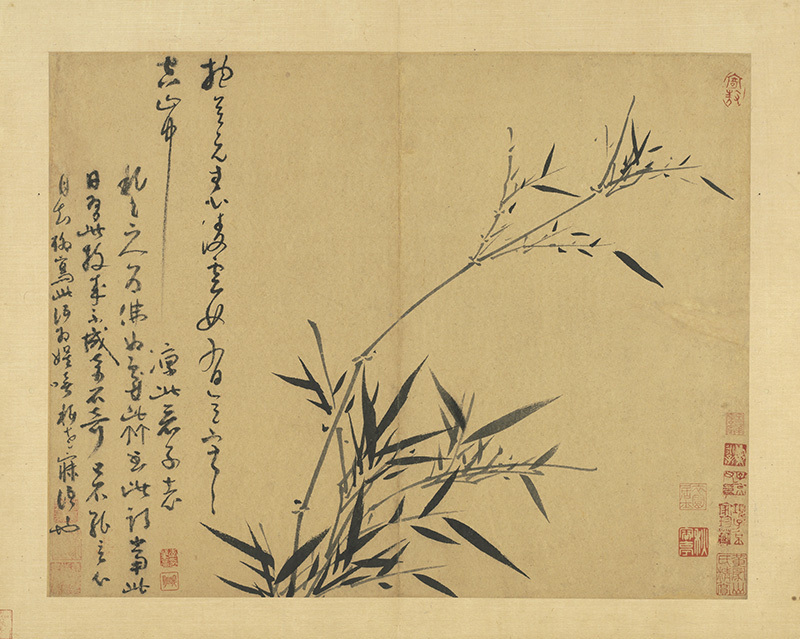 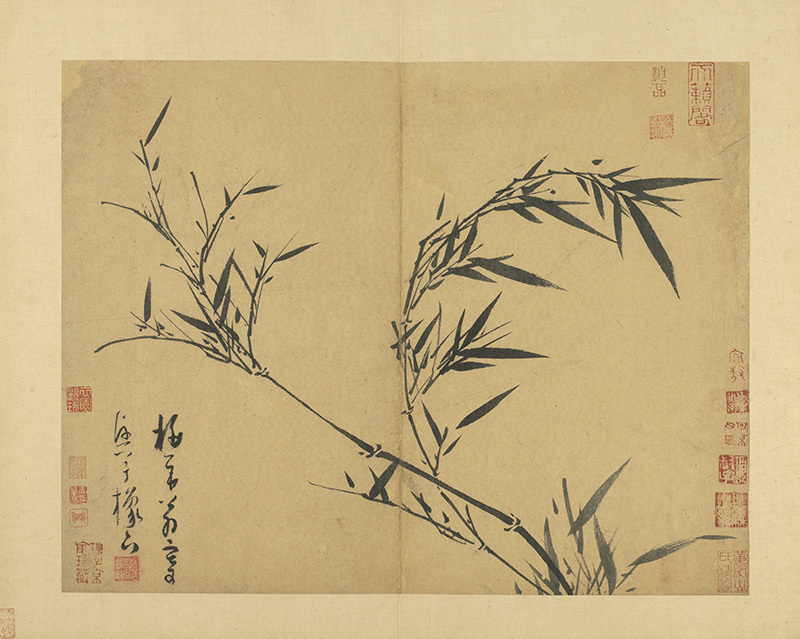 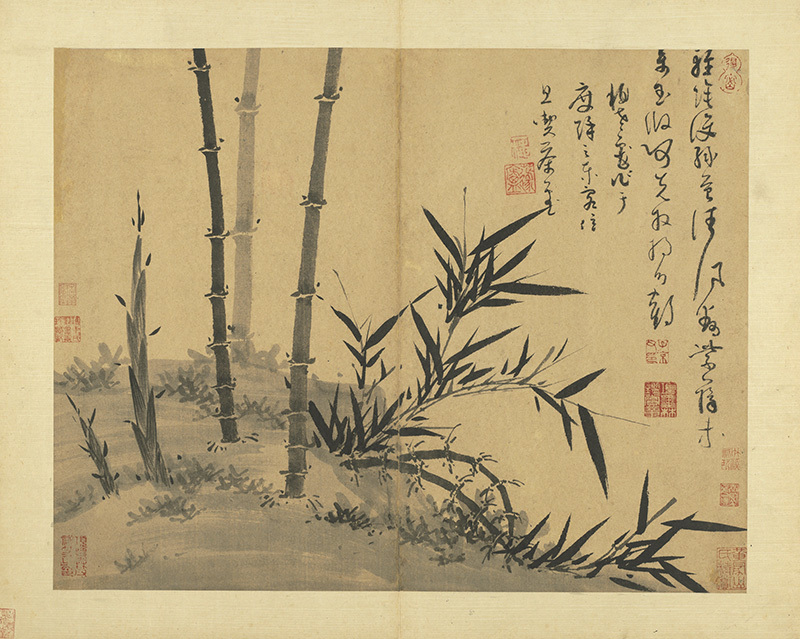 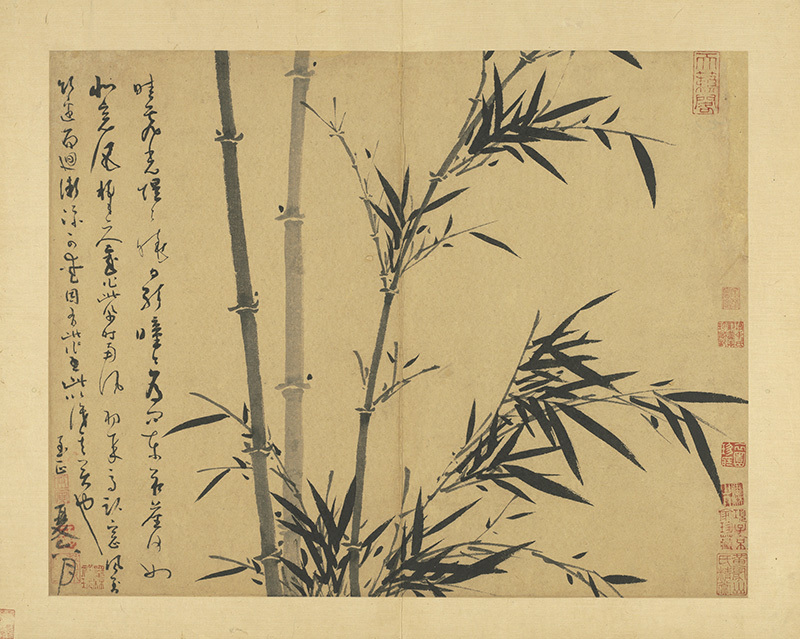 The National Palace Museum in Taipei presents Wu Zhen’s Manual of Ink Bamboo (吳鎮墨竹譜). 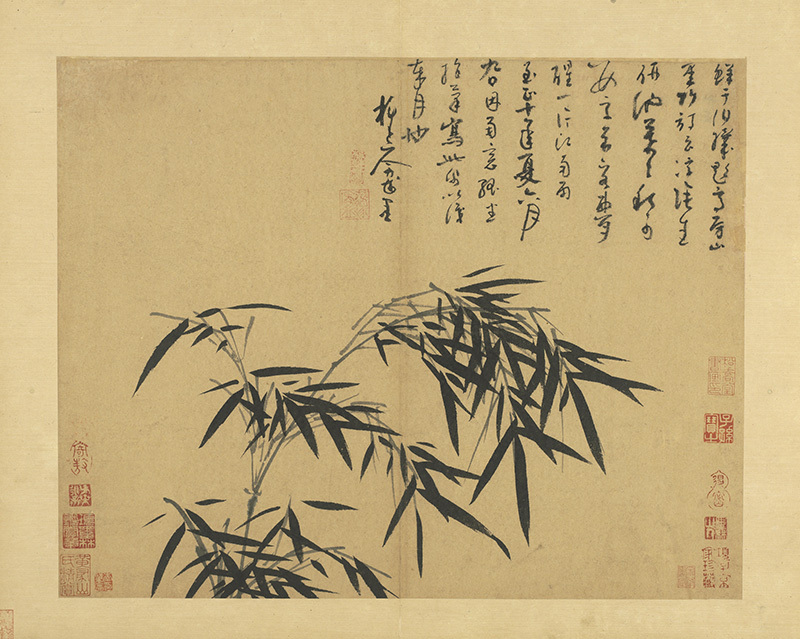 Wu Zhen, a native of Jiaxing (south of Shanghai and Suzhou), was good at poetry and prose while excelling at painting and calligraphy, becoming known as one of the Four Yuan Masters, which also include Huang Gongwang, Ni Zan, and Wang Meng. 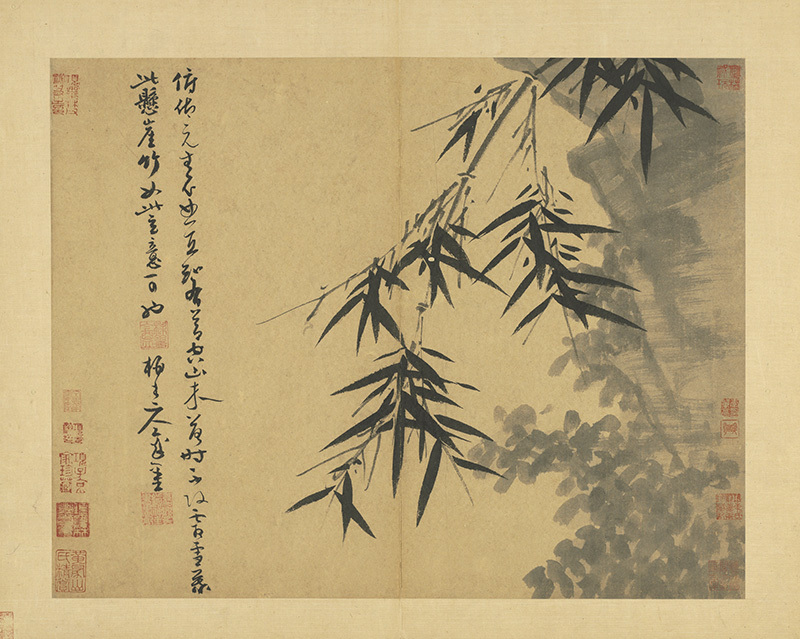 This album was painted in 1350 and presented to the artist’s son, Fonu. 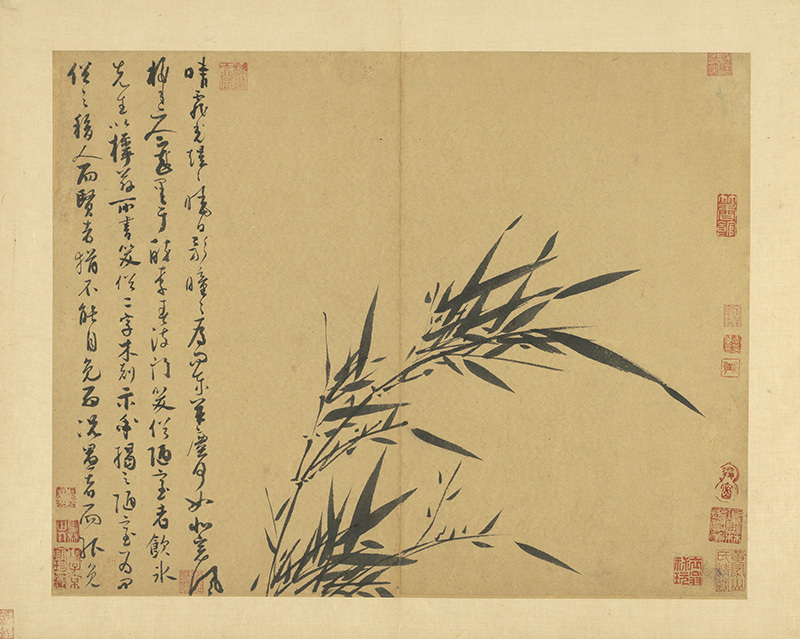 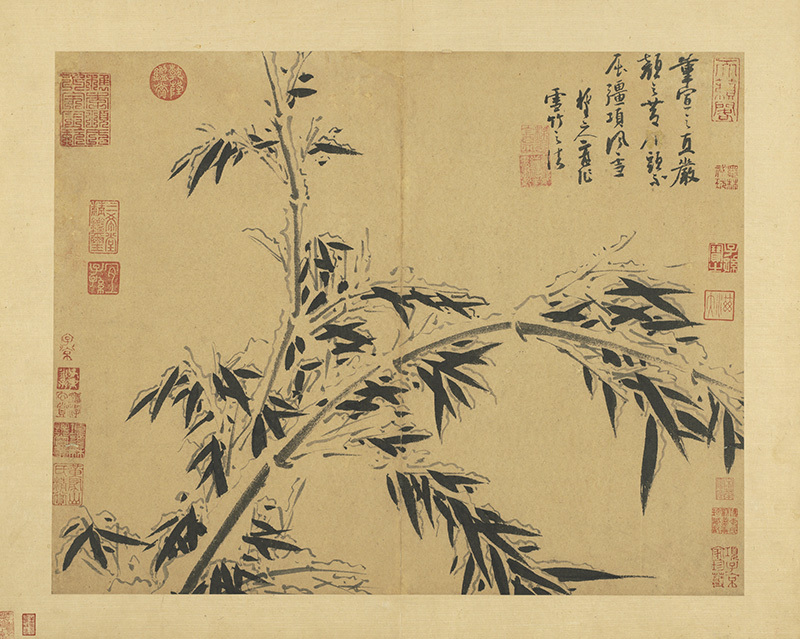 It features 22 leaves, of which the first two are a transcription of Su Shi’s “Inscription on a Painting of Bamboo by Wen Tong.” The remaining twenty leaves depict bamboo in varying stages of growth, including new shoots, tender branches, and old stalks. 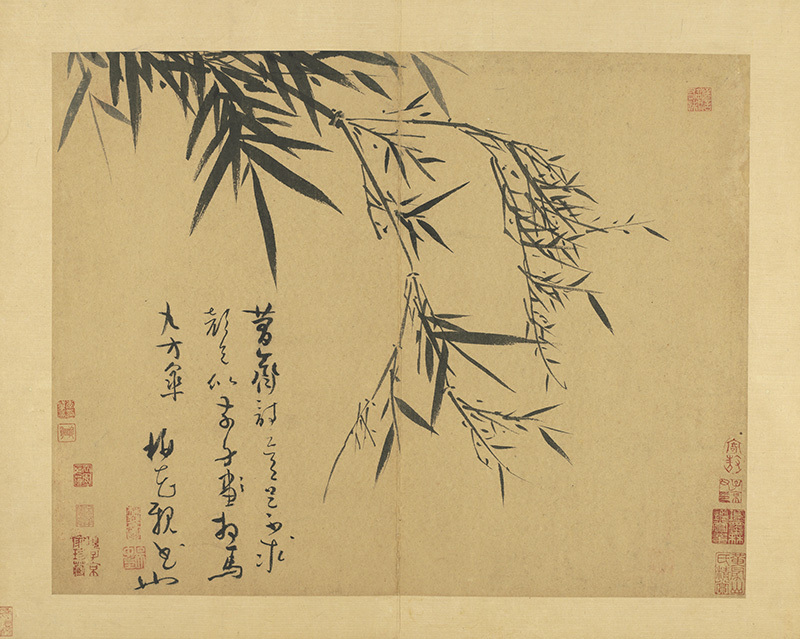 Bamboo is also shown in different poses, such as growing upright or bending down into the composition, and in various weather conditions, including rain, wind, and snow. 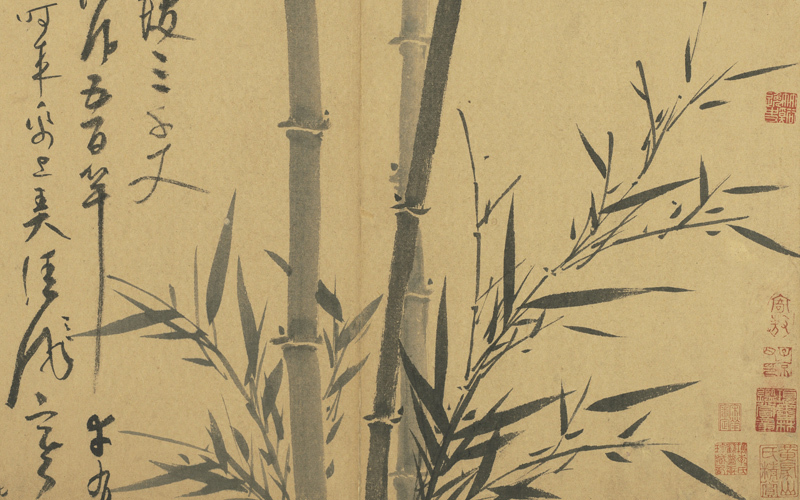 The forms of the bamboo, whether painted strong and upright or delicate and supple in the breeze, all appear with a sense of archaic beauty and hoary strength to demonstrate a free and unyielding spirit. 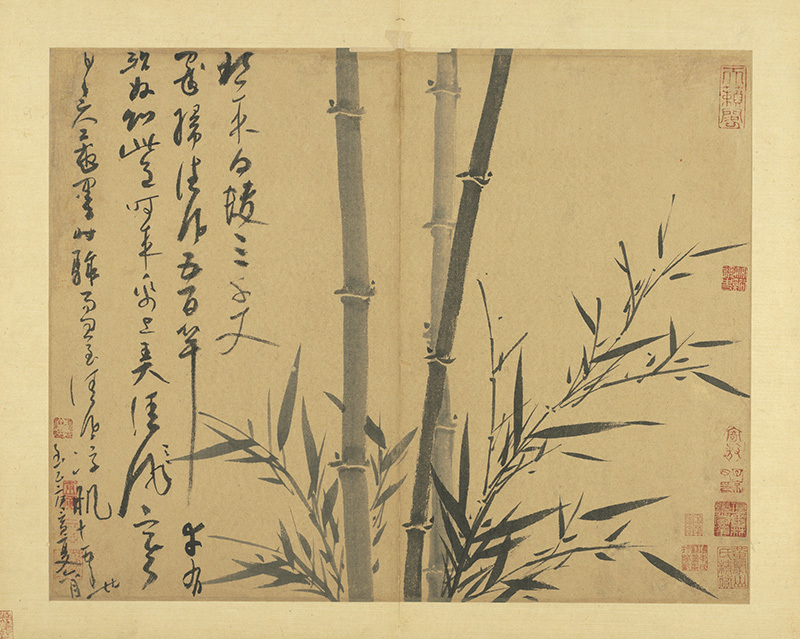 Each painting features an inscription in cursive script with tips and opinions about depicting bamboo using ink, making this album a masterpiece that combines both painting and calligraphy. 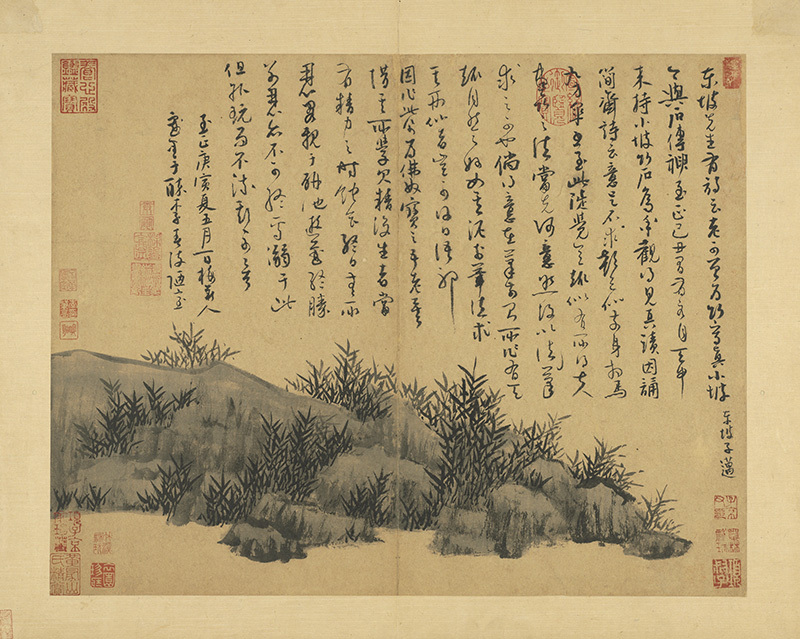 The exhibition of this album is through December 25, 2016.